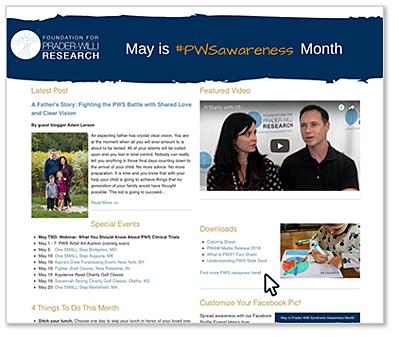 Visit our PWS Awareness month page on the FPWR website for inspiration, educational resources and fundraising ideas to help you with your awareness activities! And don't forget to sign up for our PWS Awareness Month emails to receive a daily PWS fact that you can share to help build awareness. On the PWS Awareness Month page, you'll find videos, downloads, and social media graphics to share with the hashtag #PWSAwareness, and stories of hope from parents, friends, and caregivers. The page lists and links to the One SMALL Step walks, golf tournaments, and other fundraising events organized by FPWR's amazing PWS community, with information to help advocates launch their own fundraiser easily online. Introduced by Reps. Ed Royce (R-CA) and Jane Harman (D-CA), the House of Representatives passed House Resolution 55 on December 8, 2009. The resolution established May as an awareness month for Prader-Willi syndrome (PWS). "This important resolution marked a real turning point in the fight against PWS," said Lauren Schwartz Roth, Ph.D., former President of the Foundation for Prader-Willi Research (FPWR). "In addition to establishing an awareness month, the resolution recognizes the importance of awareness and early diagnosis and recognizes the efforts and commitment of patient advocacy groups such as the FPWR. We are deeply appreciative to Reps. Royce and Harman for their hard work and support." 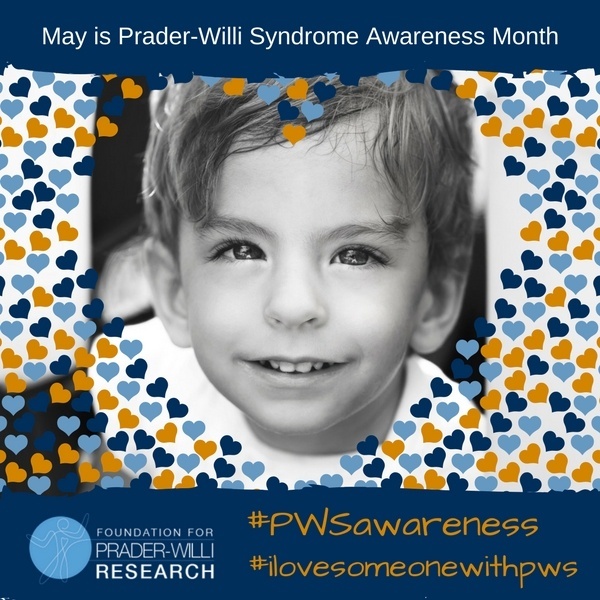 For more information on PWS Awareness Month, download the PWS Awareness Month news release here.